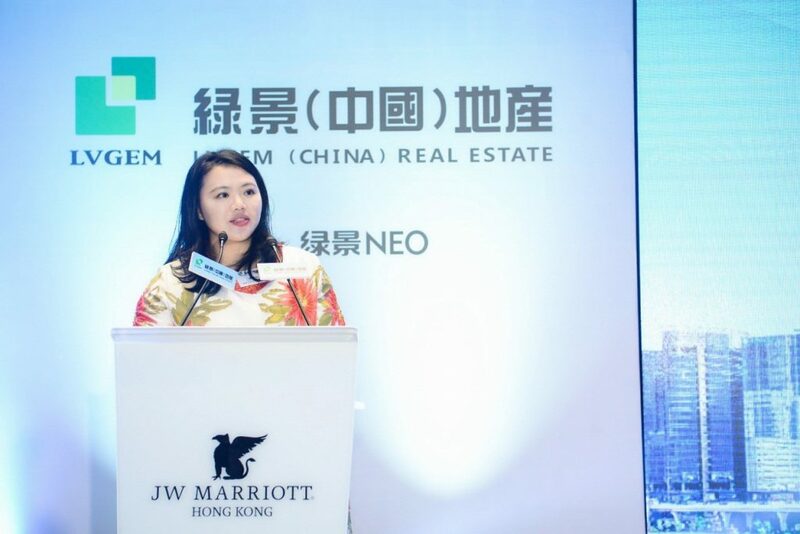 LVGEM (China) Real Estate Investment Company Limited (“LVGEM (China)”; stock code: 0095.HK) held the 3rd Listing Anniversary Celebration Ceremony and Hong Kong LVGEM NEO Leasing Launching Ceremony in JW Marriott Hotel Hong Kong on 5 November 2018. The ceremony was attended by Huang Jingshu, chairman of the board of directors of LVGEM (China), Tang Shouchun, executive director and chief executive officer, and Ye Xingan, Deng Chengying and Huang Haoyuan, executive directors, and key strategic partners and investors of the company. 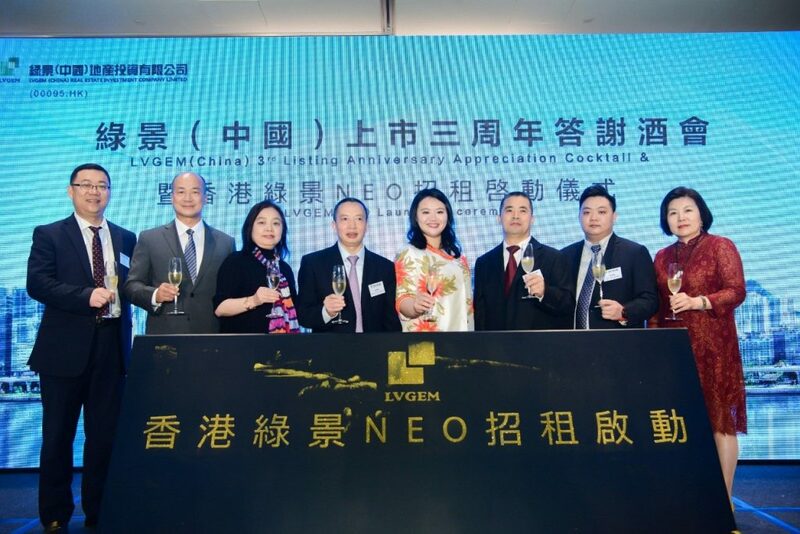 At the ceremony, LVGEM (China) launched leasing for its first commercial project in Hong Kong , HK LVGEM NEO. It is confirmed that various leading multinational financial, property and technology companies will set their office there. LVGEM (China) was established in Shenzhen in 1995. In November 2015, following the completion of asset injection and introduction of Ping’an and Wanke as cornerstone investors, the company was successfully listed in the Hong Kong Stock Exchange, which marked its entry to the stage of international capital market. Over the past three years, LVGEM (China) has maintained stable growth momentum and achieved fast-paced, quality performance growth by upholding a proactive approach for business development. As the company continues to grow its presence and asset scale, its industrial status is improved and its comprehensive capabilities are recognised by the market, industry and society. LVGEM (China) has raised more than USD2 billion funds in two capital markets onshore and offshore since the listing by capitalizing on innovative financing methods, with the average cost of not more than 6.5%. The funds have provided strong support for project development and M&A business of the company. In 2016, the AA-rated parent company of LVGEM (China) successfully issued the corporate bonds in an amount of RMB2.6 billion for a term of five years with a coupon rate of 6.5% by adopting an innovative financing method. In 2017, the company was rated by international rating institutions Moody’s and Fitch for the first time. In August and October 2017, the company successfully issued the first trench of overseas US dollar bonds in an amount of USD400 million through its wholly-owned subsidiary, which marked its successful entry to the international capital market. In addition, LVGEM (China) was also granted loans of up to HKD5.4 billion from a consortium comprised of Bank of China (Hong Kong), Wing Lung Bank and Chong Hing Bank. The adoption of domestic and overseas financing channels ensures a healthy financial condition of the company and reflects capital market’s recognition of the strength of the company and its confidence in the development prospect of the company. 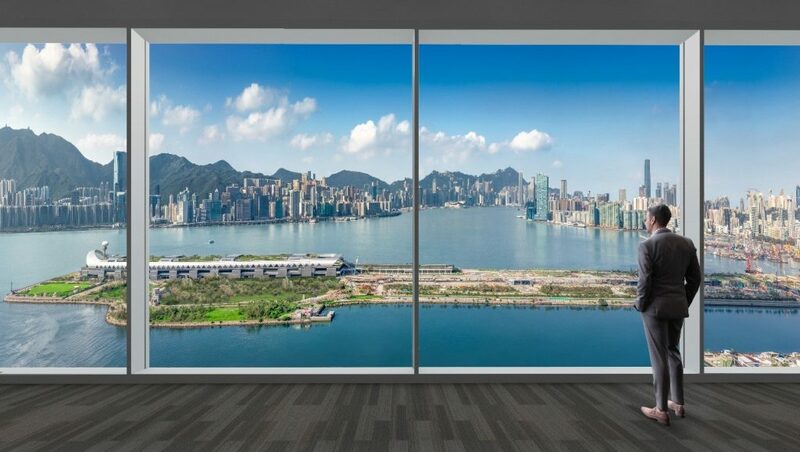 Different from many property developers who adhere to a nationwide development approach, LVGEM (China) has placed its focus on Shenzhen and Hong Kong since its establishment, insisting on rooting in the Guangdong-Hong Kong-Macao Greater Bay Area, actively building presence in Shenzhen, Zhuhai and Dongguan. It has completed more than 20 projects in these regions, 90% of which are located in Shenzhen. Since its listing, the company has made proactive efforts to increase land reserves. In 2015, LVGEM (China) entered Hong Kong property market for the first time by acquiring a plot of land in Deep Bay Road, Lau Fau Shan. The project comprises 116 low-density waterfront villas. In close proximity to Shenzhen Bay, the land is connected to both Hong Kong and Shenzhen. In 2016, LVGEM (China) successfully acquired the Shenzhen Yijia Industrial Park project, which is an urban renewal project. In 2017, LVGEM (China) completed the acquisition of the Zhuhai Kaiwei project, which is positioned as an A-grade urban complex. In 2018, LVGEM (China) acquired the Suzhou Gusu project by means of bid invitation, auction or listing. The above projects cover a total area of 500,000 square meters, amounting to over RMB18 billion. They will provide strong support for the long-term sustainability of the company. Furthermore, LVGEM (China) adopts the two-way land acquisition model, including bidding in open market and participating in urban renewal. Through the cooperation with the parent company, LVGEM (China) has developed a well-rounded and standard land acquisition model. The management of LVGEM (China) said in an interview that the controlling shareholder would introduce the 12 million square meter land located in the core region of the Guangdong-Hong Kong-Macao Greater Bay Area into the listed company in due course, in order to provide the company with sustainable land resources at low costs. Currently, the company has 8 projects under development/ to be developed which cover a total area of 4 million square meters. Such projects can satisfy the recent development needs of the company. LVGEM (China) will maintain a relatively high profitability and capability to sustain long-term development. On 13 October 2018, as a high-profile project in downtown Shenzhen, the LVGEM Mangrove Bay No. 1 project was launched for sale. On the first of day of sale, the project was crowded with people. While the market maintained a wait and see attitude, the selling rate of the project hit 70% and over 80% of the buyers sought to satisfy their self-occupation needs. LVGEM Mangrove Bay No. 1 is the most representative urban renewal project of LVGEM (China) in recent years. 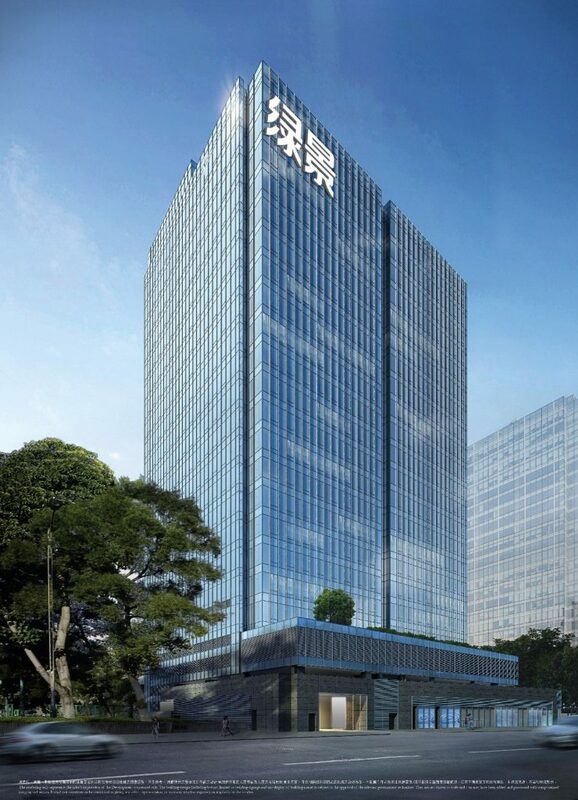 The project, worth of RMB10 billion, is located in the central business district of Futian, Shenzhen, occupying an area of 24,424 square meters, with the construction area available for sale of approximately 100,000 square meters. According to relevant data, LVGEM (China), a distinctive property developer in the Guangdong-Hong Kong-Macao Greater Bay Area, does not just strive for high-turnover and large-scale projects. While there are only a few projects available for sale, their quality is superb and sales performance is satisfactory. LVGEM International Garden located in Huazhou, LVGEM Hongwan, LVGEM Mangrove Bay No.1 and other projects all recorded good sales performance in recent years. LVGEM Huanzhou International Garden is the largest property project in Maoming, west of Guangdong. The sales of several launches of the project since 2014 exceed RMB3 billion in aggregate, the highest in history in Huazhou. The project was crowned No.1 of the year in Maoming by the number of apartment sold and area sold. 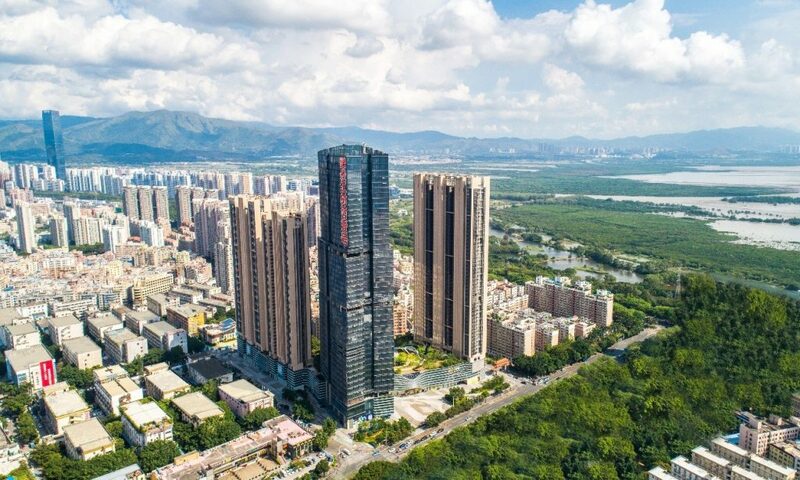 As the new residential and commercial property benchmark project in Meilin, Futian, Shenzhen LVGEM Hongwan Garden attracted intense interest immediately after it was launched for sale. As these projects are making steady progress, they can provide sufficient cash flow for and boost the performance of LVGEM (China). In October 2017, 8 Bay East was acquired by LVGEM. It is the largest commercial building transaction in Kowloon in history and the third largest transaction in Hong Kong in 2017. The commercial building was acquired by LVGEM from Wheelock with HKD9 billion and renamed Hong Kong LVGEM NEO. The project was topped out in May this year and is expected to be completed in 2019. The biggest highlight of the ceremony is the kicking off of leasing for Hong Kong LVGEM NEO. The project is a grade A seaview commercial building, positioned as a FinTech centre integrated with health, green, humanity and scenario. Advanced intelligent management system and the latest leisure, entertainment and new retail business formats such as “unmanned supermarket” will be introduced, with a view to developing the project into a scenario-based shared office space with humanistic care. It is confirmed that several leading multinational financial, property and technology companies will set their office there. By leveraging the prominent geographic location, beautiful seaview and high-end hardware configuration, it is anticipated that more and more domestic and multinational corporates or Fortune 500 companies will be attracted to the building. In 2018, the project appreciated by HKD210 million in value. Hong Kong LVGEM NEO is a part of the NEO series, the well-known commercial brand established by an asset company of LVGEM (China). LVGEM (China) has been adhered to the dual-wheel driven strategy for residential and commercial property development. As for commercial property, the company operates and manages a wide range of commercial properties under two major commercial brands, “NEO” and “Zoll”. The total operating area exceeds 500,000 square meters and the aggregate annual revenue from property operation and management amounts to over RMB800 million. Currently, LVGEM (China) has 3 NEO projects in operation and under construction, including Shenzhen NEO, Suzhou NEO and Hong Kong NEO. Shenzhen NEO urban commercial complex situated in the core location of Futian, Shenzhen is the most representative landmark building in the city, where houses many corporates, banks and the world’s top 500 companies, serving the financial, high technology and modern service industries, maintaining a rental rate of 99% throughout the year. “Zoll” is the first shopping centre brand of LVGEM (China) focusing on community and neighbourhood business. Currently, the company has 6 Zoll projects in operation and under development and over 2000 brand partners. These projects cover a commercial area of approximately 200,000 square meters. With the completion of the expansion projects of LVGEM (China), “Zoll” brand will expand its area in the future. In January 2017, Shenzhen Zoll Hongwan Shopping Centre with an occupancy rate of 98% was opened to the public, receiving 100,000 visitors on the first day operation. Since its listing, the property asset operation business of LVGEM (China) has maintained a steady growth, providing stable cash flow and reliable profits for the development of the company. 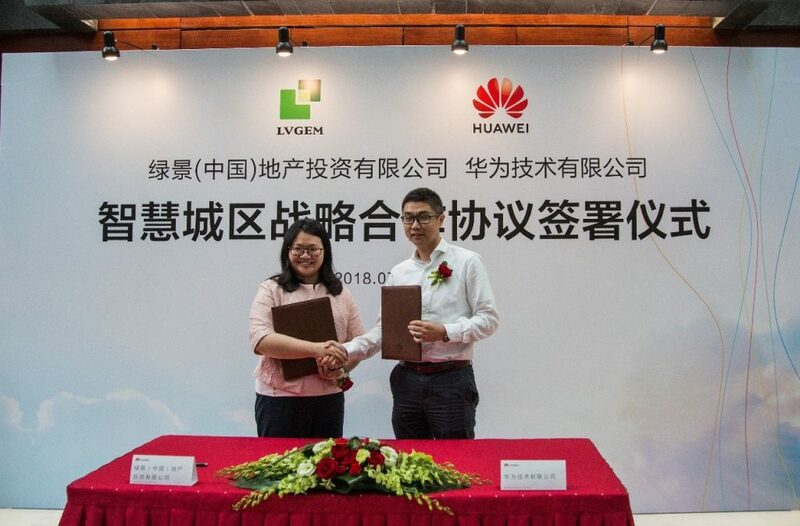 In September 2018, LVGEM (China) entered into a strategic cooperation agreement with an internationally-renowned technology company Huawei, which specifies that both parties will cooperate to establish smart city benchmark projects through the use of advanced technology such as artificial intelligence, cloud computing and big data. As an important strategy of Huawei, smart city is a project that receives the most attention from Huawei. Huawei has devoted a large amount of human resources and capital for research and exploration. At this year’s Huawei Connect 2018, the smart city concept was proposed. Leaders of the company were invited to deliver a speech at the event. Smart city is not a concept that can be achieved with a single technological product. To establish a smart city, certain thresholds must be met. For example, smart city must be established in economically developed regions and large urban renewal projects because only these large-scale, highly-developed and highly-complex regions and projects need the technological support of smart cities and therefore can give full play to the functions of smart cities. LVGEM (China), an industry-leading company specializing in urban renewal, possesses advantages in establishment of smart cities. The market is optimistic about its cooperation with Huawei. LVGEM (China) has extensive experience in urban renewal. Its projects in the Guangdong-Hong Kong-Macao Greater Bay Area are mainly large urban renewal projects located in core regions. Therefore, the company is inherently capable of developing smart cities. As a leading technology company in the world, Huawei will offer technological support for establishment of smart cities. While the property industry is actively embracing technology, LVGEM (China) is keeping in step with the times and industrial trends to develop an innovative model for smart city benchmark projects by upholding the “property+technology” principle. This is a new round of in-depth development in urban renewal aspect, which will significantly enhance the development and operation capabilities of LVGEM (China) for large, comprehensive projects. The cooperation between LVGEM and Huawei in establishment of smart city benchmark projects will be much awaited. LVGEM (China) has been listed for three years. Over these years, it has speeded up the development and by leveraging a unique land acquisition channel, outstanding project resources, premier customer service and good brand image, the company has become a distinctive property developer and operator as well as a leading company in the region with a focus on core cities, urban renewal, development and operation. The company enhances the value of regions with urban renewal, recognized by the industry, government and society. 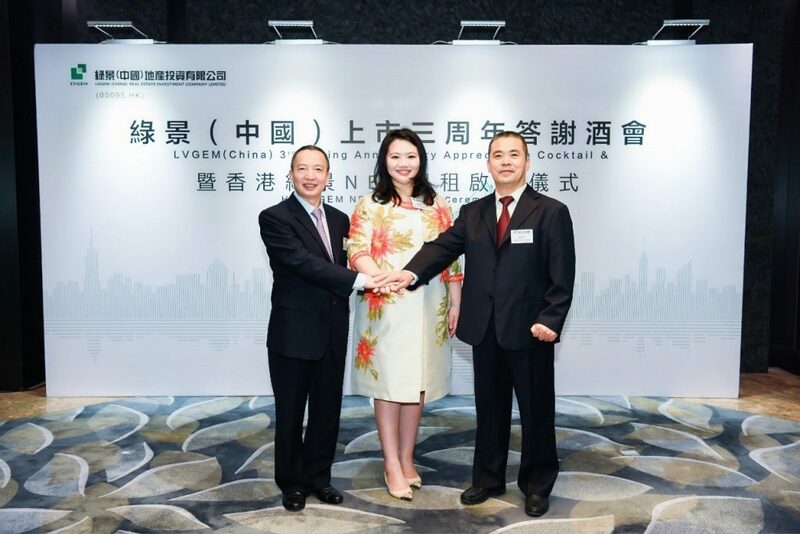 In the past three years, LVGEM (China) won multiple awards in the property industry and capital markets and has been named “Top 10 Trustworthy (Quality) Enterprises in Shenzhen’s Real Estate Development Industry” and “Top 10 Shenzhen Real Estate Development Enterprises in Terms of Comprehensive Strength” for the eighth consecutive year. In March 2017, LVGEM (China) was included in the Hang Seng Stock Connect Hong Kong MidCap & SmallCap Index and selected as an eligible stock for the Shenzhen-Hong Kong Stock Connect, thanks to its good results and outstanding performance in capital markets. Favoured by the southbound capital from the mainland China, the company enjoys good credit score and market reputation in domestic and overseas capital markets. Also, the Company won “Listed Company with Most Growth Potential” in 2016, “Listed Company with Most Investment Value in Shenzhen-Hong Kong Stock Connect”, “2017 Top 100 Hong Kong Stocks” in 2017 and “Golden Wing Award” in 2018. Those who always bear in mind their aspiration will progress; those who stay confident will win; those who grow with the times will become stronger. That day, Huang Jingshu, chairman of the board of directors of LVGEM (China) expressed appreciation to the guests. She said, LVGEM (China) will keep in step with the growth of the country, adhere to the strategic vision of “Focusing on Core Cities and Cities’ Core Areas”, and gain footholds in core locations of core cities such as Guangdong-Hong Kong-Macao Greater Bay Area. In the future, committed to the strategic positioning of “Distinctive Property Developer Pioneering in Urban Renewal”, LVGEM (China) will consolidate and expand its advantages in resources, brands and business models. By capitalizing on the listed platform, it will remain steadfast in the development of the Guangdong-Hong Kong-Macao Greater Bay Area and transform itself into a “distinctive, resourceful and intelligent property developer” with a unique positioning and a whole new perspective, so as to create new values for cities and maintain sustainable, stable and healthy development to reward shareholders and the society.